Felt is a fabric with a long history. It is a wonderfully versatile material. Felt with precise technical specifications is created in factories for industrial use, and yet the same material can be made by hand into beautiful clothing and exquisite works of art. Felt can only be made from wool (the hair of sheep, camel and goat) or from fibers from the coats of certain other animals including beaver and rabbit. When these fibers are moistened, compressed, and agitated by rolling, beating, or rubbing, they move and become tangled together and form felt fabric. Scales on the outside of the fibers allow them to move in only one direction and prevent untangling. Hot water, soap, and various other chemicals speed the felting process-in fact, the reason why wool sweaters often shrink during washing is because the fibers become felted. The origin of felt is unknown but is believed to date back to prehistoric times in Central Asia. Felt may have been discovered when wool, shed from wild sheep, was used to soften sleeping areas, and it formed a cohesive fabric, or when the wool on skins used for clothing became matted. Felt is a good insulator. It is windproof and rain will run off it. It can be cut and will not fray because it has no yarns to unravel. Dense felt is remarkably strong and cannot be pierced by arrows. This property was appreciated by many warriors in the past, who used felt for lightweight shields and armor. Thin felt may tear when stretched, but dense felt can be stretched and molded into various shapes for uses such as hats, boots, and bags. As in the past, felt plays an integral part in the lives of Eurasian nomads, who live in lightweight felt tents, known in the West by their Turkish name, yurts, but called gers in Mongolia. Yurts are domed structures usually sixteen to twenty feet in diameter, made from a wooden framework covered with felt. A yurt can be erected or dismantled in less than an hour and can easily be carried by two camels or yaks. Nomads also use felt for clothing, boots, hats, bags, carpets, blankets, horse paraphernalia, idols, and toys. This practice continued as the nomads settled in villages, and in Mongolia, many nomads now settled in towns and cities still choose to live in yurts. Traditionally, nomads make felt by spreading wool fibers on a yak skin and wetting them. The wool and skin are wrapped around a pole and rolled by hand or pulled across the ground by a yak or other animal. After the wool has formed a cohesive sheet, it is removed from the mat and rolled further until a strong piece of fabric is created. Decorative designs may be added by appliquéing colored felt pieces or by the use of dyed wool in the felting process. Before the time of the Roman Empire, felt was made in areas north of a line from Scandinavia, down to Italy, across Greece and Turkey, down the Persian Gulf, across Northern India, and up to the northeast tip of China. There is mention of felt in the works of Homer and pictures of felt production in the ruins of Pompeii. Felt was not known in Africa, Australia, or the Americas. Until the 1960s, handcrafted felt continued to be used in many Middle Eastern areas for hats, boots, clothing, rugs, and wall hangings. The Turkish military wore felt boots until the 1950s. In Iran and Turkey, felt is now associated with an unsophisticated rural lifestyle. Little is known about felting in Europe prior to the Middle Ages. Felt was generally a low status fabric used for men's hats, saddle covers, and the linings of helmets. When Charles VII of France wore a beaver felt hat in 1449 after defeating the English at the Battle of Rouen, such hats became so popular (and an indication of a wearer's social status) that by the late 1500s beavers were extinct in Western Europe. This led to the development of the North American fur trade by British and French explorers and settlers. To improve the felting properties of beaver fur, pelts were soaked with a mercury compound before the hair was cut from the skin. The mercury evaporated during hat making and was inhaled by the hatters, causing damage to their nervous systems that eventually resulted in madness. This is the origin of the term "mad as a hatter." Hats were so much a part of life that, by the 1820s, there were over 200 hat manufacturing companies in London alone. Beaver felt hats declined in popularity at about that time, but until the 1950s, fashion dictated that men should wear wool felt hats and caps outside, and even in many indoor situations. The development of felting machines in the mid-1800s increased the uses of felt as both a consumer and an industrial material. 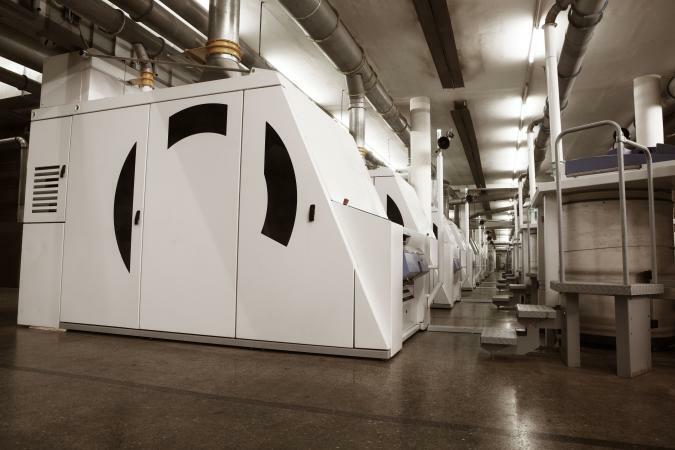 Machine-made wool felt has been used for hats, slippers, toys, the linings of silverware cases, carpet underlay, washers, gaskets, filters, polishing wheels, drum sticks, piano parts, and felt pens. It is not generally used for clothing in the West, because thick felt is stiff and does not drape well while thin felt will stretch out of shape. One notable exception is the circular skirts with appliquéd poodle designs that were popular in the 1950s. For crafts, ladies' hats and many other uses, nonwoven fabrics made from synthetic fibers replaced felt in the late twentieth century. From about 400 B.C.E., felt was used so extensively in Central Asia that the area was known to the Chinese as "the land of felt." The goal of Genghis Khan was to unite "the people who live in felt tents," and by 1206 he ruled the second-largest empire in human history. As traditional felt-making is declining and commercial production of wool felt is decreasing, there has been a revival in interest in the study of traditional felt and the production of felt by hand as a craft or an artistic endeavor. Because of its unique properties and the way it can be made by hand, there will always be uses for felt. See also Appliqué; Nonwoven Textiles. Burkett, Mary E. The Art of the Felt Maker. Kendal, U.K.: Abbot Hall Art Gallery, 1979. Gordan, Beverly. Feltmaking. New York: Watson-Guptill Publications, 1980. Laufer, Berthold. "The Early History of Felt." American Anthopologist, n.s. 32, no. 1 (1930): 1-18. Sjöberg, Gunilla Paetau. 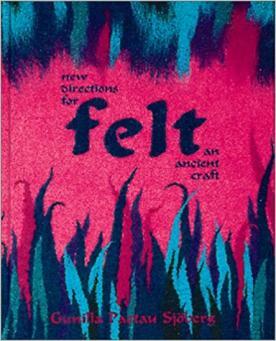 Felt: New Directions for an Ancient Craft. Translated by Patricia Sparks. Loveland, Colo.: Interweave Press, Inc., 1996. Pufpaff, Suzanne, ed. Nineteenth-Century Hat Maker's and Felter's Manuals. Hastings, Mich.: Stony Lonesome Press, 1995.